Wow wow wow. That's about all I can say when it comes to this session! Morgan + Madi are so passionate and so in love with each other. I really love in-home sessions for this reason. It's always super relaxed and laid back! 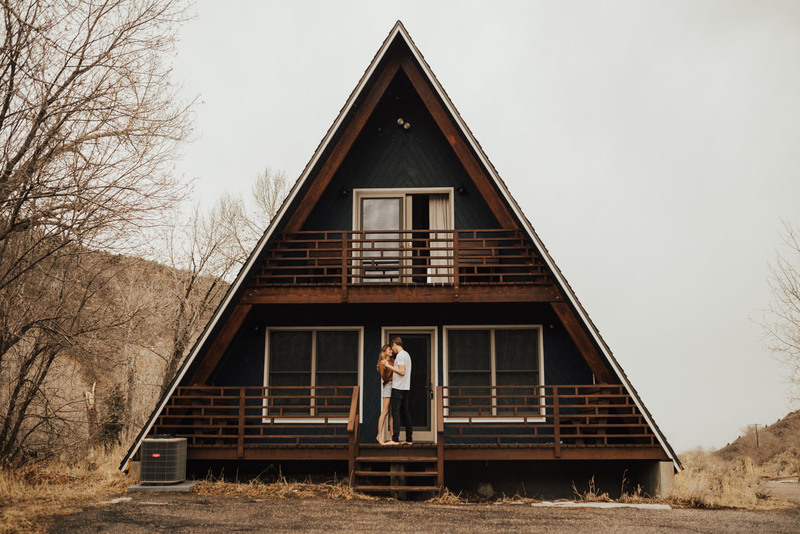 We did this session in Heber City, Utah in a little A-frame cabin thats cozied up in the mountains. We had so much fun goofing around all over the cabin. They have been married for about a year and a half and they definitely live like they are still in the honeymoon phase. I fully support that!!! They really couldn't keep their hands off of each other which is the absolute best. So why not do a couples session to capture this amazing time in their relationship?? Years down the road they will look back on these photos and it will bring them right back to these very feelings and moments. That is why I do what I do!